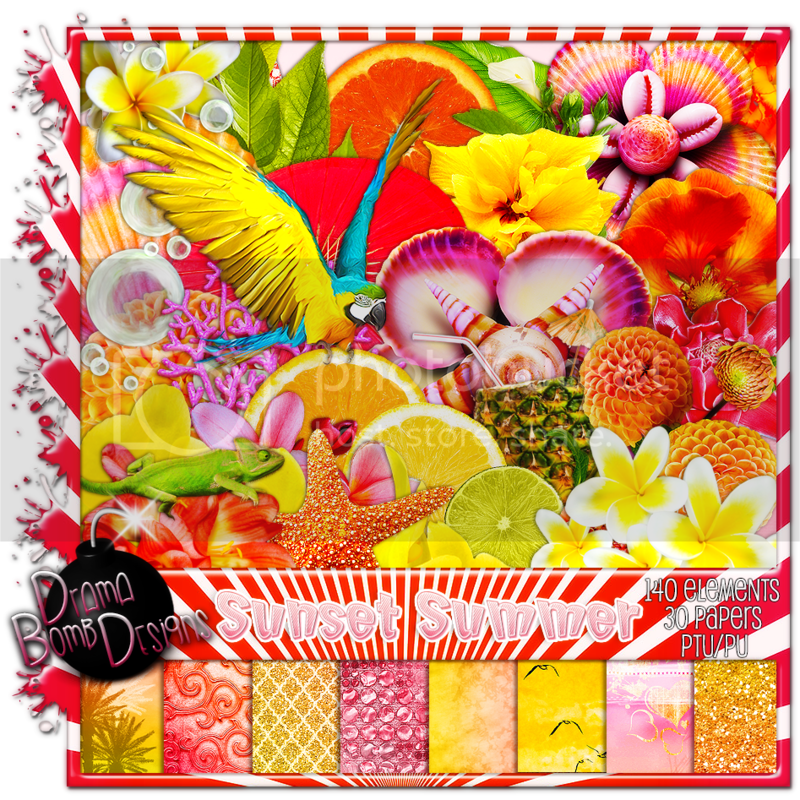 Drama Bomb Designs: New kit "Sunset Summer" available now! New kit "Sunset Summer" available now! It comes with 140 elements and 30 bright and fun papers!